As the end of daylight saving time draws near, ophthalmologists at the Vanderbilt Eye Institute want to focus on a real issue dim-light driving situations that can endanger drivers and pedestrians. Beginning the week of Sunday, Nov. 6, when dusk arrives an hour earlier, many evening commuters will be on the road heading home in an after-dark rush hour. According to the National Safety Council, traffic fatalities are three times higher at night than during the day, and coupled with the fact that Tennessee’s mild weather conditions allow for continued outdoor activity, Amy Chomsky, M.D., associate professor of Ophthalmology and Visual Sciences at Vanderbilt University Medical Center, says both pedestrians and drivers need to be more alert to their surroundings. The human eye functions differently in decreasing light, she says. “People with baseline visual issues like cataracts, severe dry eyes or early macular degeneration will have more glare in dimmer conditions affecting the quality of their vision, and some people may even become more nearsighted at night because the pupils dilate,” she said. 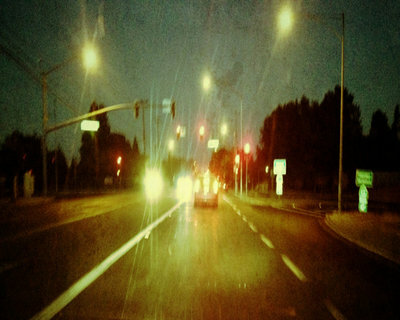 “It is not uncommon for those having trouble driving at night to use prescription glasses for nighttime driving. She suggests that drivers train themselves to avoid looking directly into incoming headlights. If someone is having extreme difficulty with night vision, Chomsky recommends that he or she see an eye care professional.